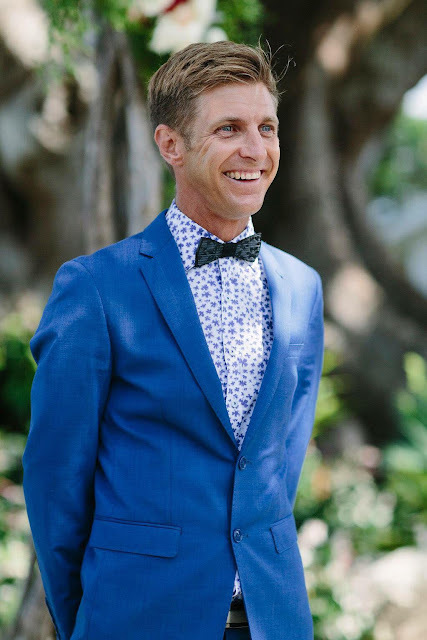 Officially famous for his bright smile and rad bowties, Benjamin Carlyle shares why he made the decision to become a Wedding Celebrant, the best part about what he does and offers expert advice to couples who are just starting out on their search for their perfect Wedding Celebrant. 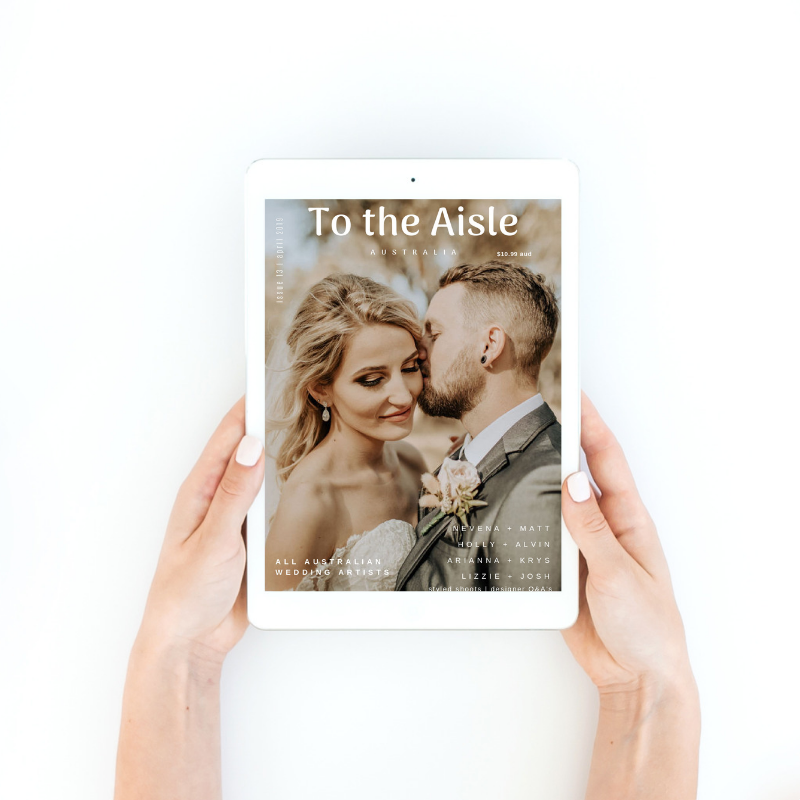 ➳ Take us back to the beginning of it all for you - How and when did you decide to be a Wedding Celebrant? 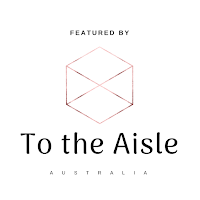 I've been a Marriage Celebrant since 2009 and my journey began through playing in a band with a friend based in Melbourne. We had first met, snowboarding in the French Alps but that’s another story. His Dad was a well sort after Celebrant in VIC and I jelled with his lifestyle and charismatic approach to his job. I'd played music for many years and enjoyed being up in front of the crowd, directing the traffic - so the transition seemed natural. I also have a background in facilitating art & music events. I studied the course and received my Celebrants license, my aspirations of being a rockstar was overtaken by my current path as a Celeb of another kind. 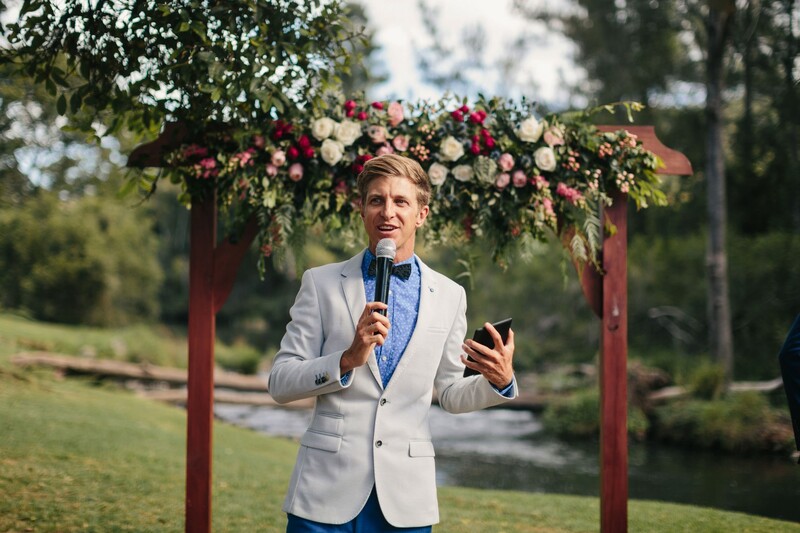 Now it’s my full time Job for the 4th year in a row and I’m stoked to be facilitating over 150 marriage ceremonies per year. 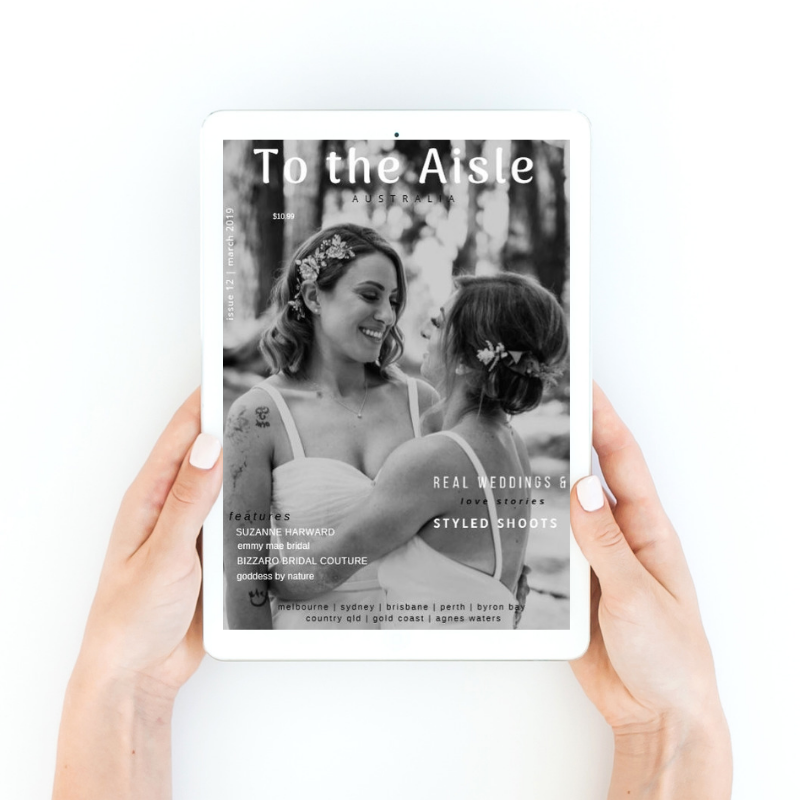 ➳ What can you offer a couple for their Wedding day? 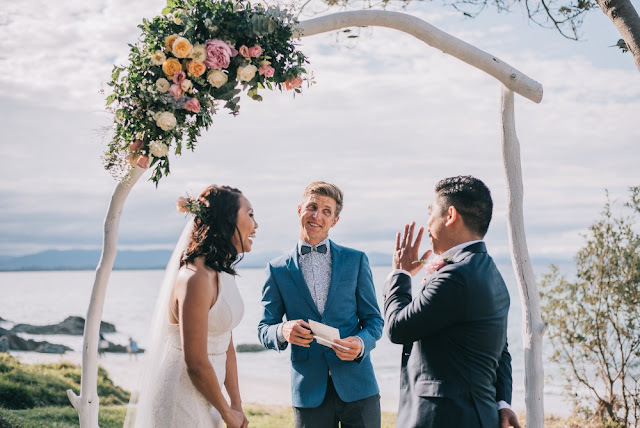 The marriage ceremony should be an awesome asset to your whole Wedding experience, not just a formality. We've all been to crap Wedding ceremonies!! 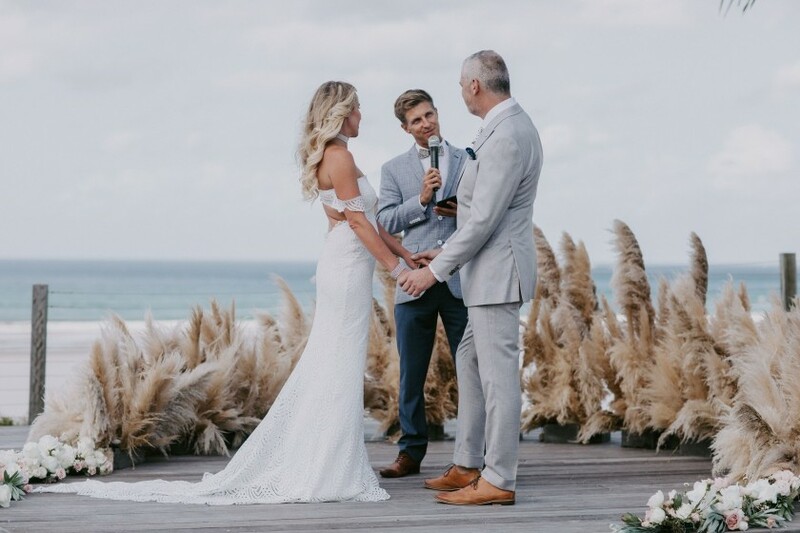 I want to convey your vibe and style in your ceremony, speak in your own unique language and to kick start your party in style! I definitely don't do boring & we can roll any way that you so wish! 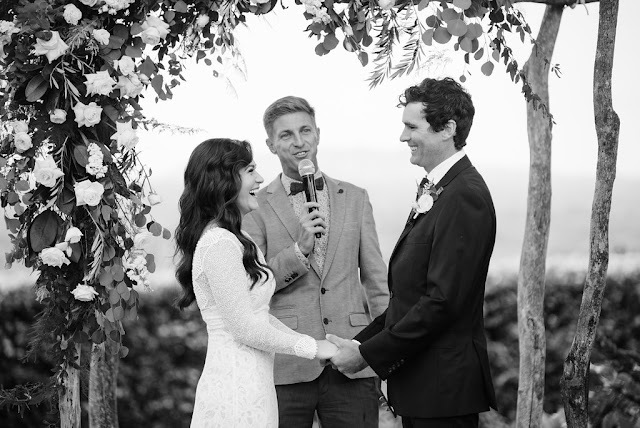 I want to engage with your crowd, kill the nerves and ultimately create a warm & fun Wedding ceremony experience! Of course we will Tick all of your Legal Goals along the way but we will also create an amazing piece of history!! 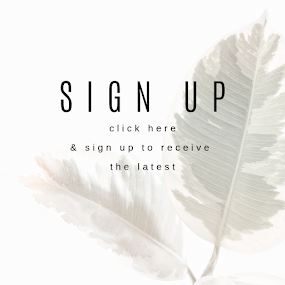 ➳ Did you always know that you wanted to be a Wedding Celebrant? I've worn many hats in my Employment history; Baker, Musician, Cook, Gardener, Door to Door Salesman, Tradie, Dodgem Car Operator!!! and so on… I guess I took my learnings and skills sets from all of my various employment rolls and that helps me to be able to multi task when required. Can rock a power drill!! 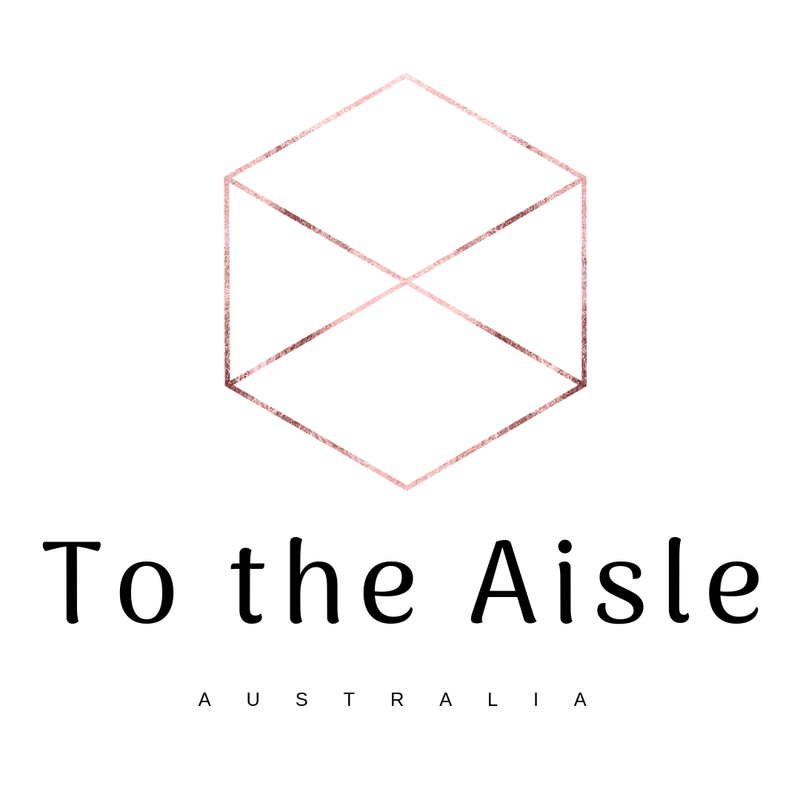 I am now living my passion as a Marriage Celebrant, everything else prior was just a job! I love holding the space in the ceremony and emotionally managing the energy! I’m here to show that the ceremony can be a fun, warm and romantic experience!! I really love my work life balance with my family, working hard at the right times and making sure that my business has a stress free flow! Running your own business can be demanding too but I’m grateful to have good systems in place these days. 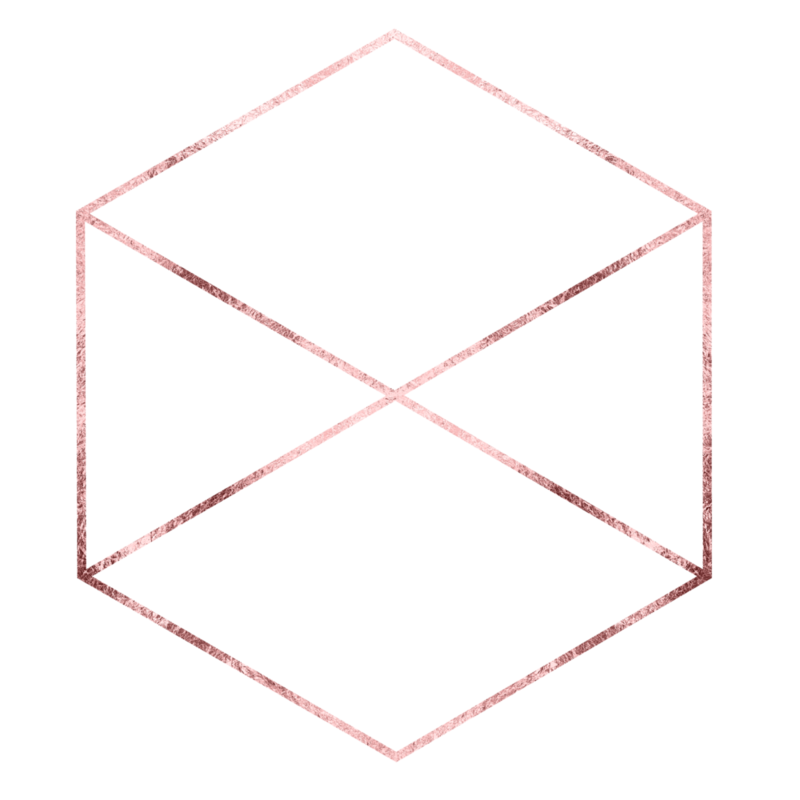 ➳ Do you have any stories that you would like to share from your experiences? 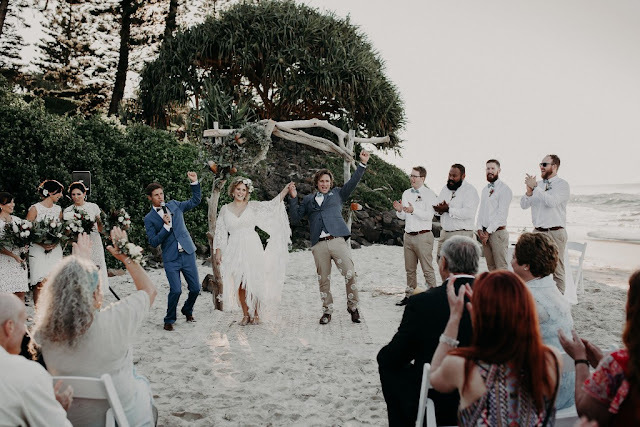 I’ve celebrated marriage in so many amazing venues, out in the ocean and even had famous Movie Stars in the Bridal party. One memorable experience or 1 particular day was on 31/03/17 when Cyclone Debbie had rolled through town and dropped a crazy amount of water in the Tweed & Byron shires. 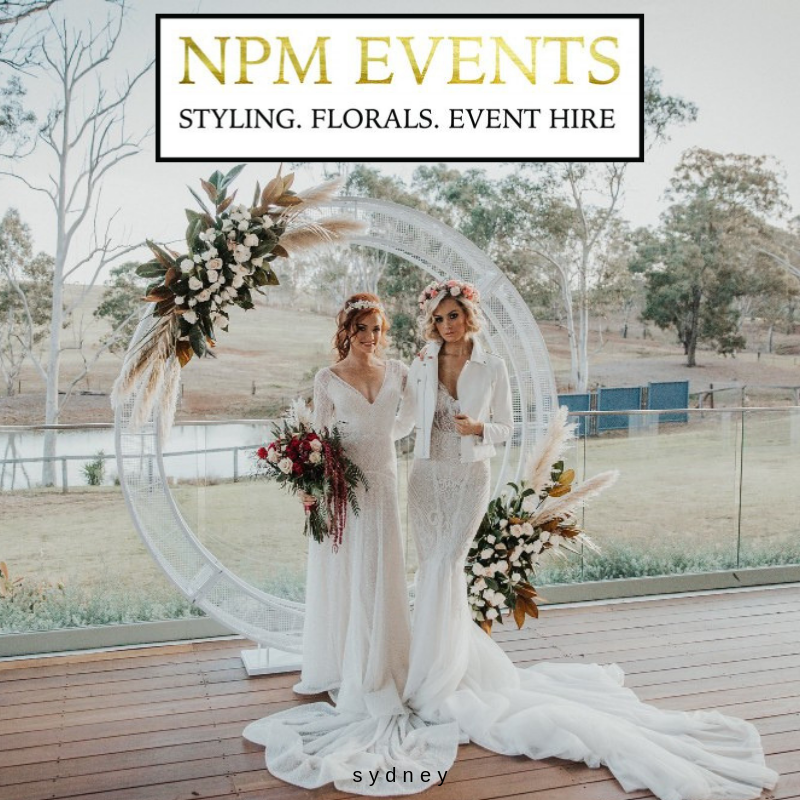 This then resulted in the main Highway being closed for 48 hours which stopped the traffic flowing south to Wedding venues from the GC airport. It also had Photographers, Hair & Makeup artists, Florists, Musicians & Celebrants stuck on the wrong side of the highway!! I actually had the day off and I had a call at 8.30am to cover a Celebrant who was flooded in to cover her. When I was at her midday ceremony the next call came to cover a 3pm ceremony and then came the 3rd call to come if possible for a 4.30pm ceremony. Paperwork and the couples ceremonies were getting emailed to me and I just kept rolling with the punches, pretty sure I didn't stop for lunch that day. It was pretty chaotic and the poor couples were in a state of shock. Only half of the guests were there for the ceremony, with some having to be choppered in. Amidst the mayhem it was really awesome to see the local Wedding community come together and support each other. Sure it didn’t go as planned for the couples but the show must go on!! 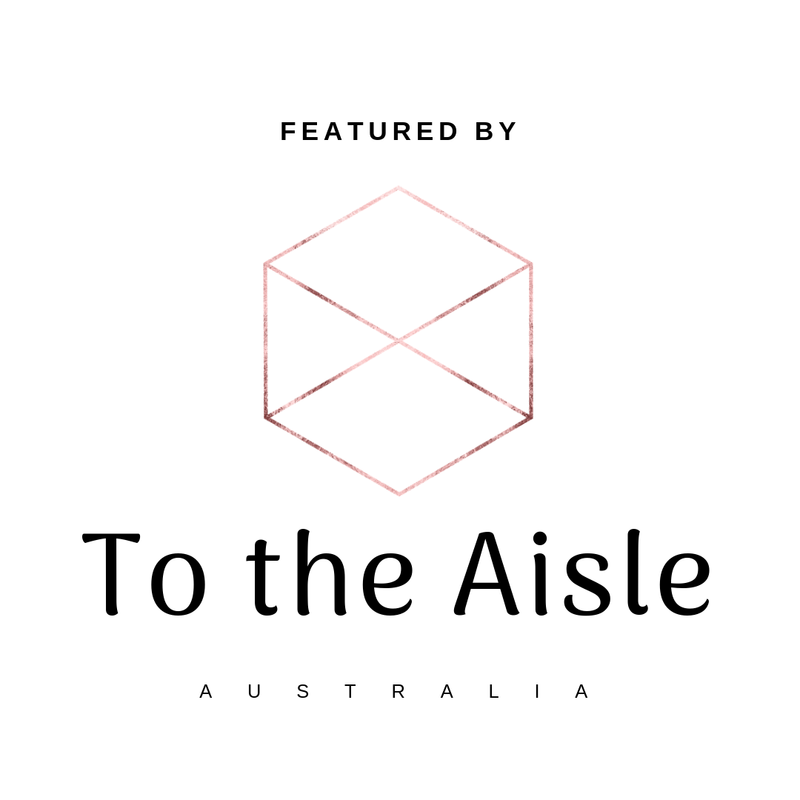 ➳ What advice would you offer to a couple that is just starting out on their search for the perfect Wedding Celebrant? 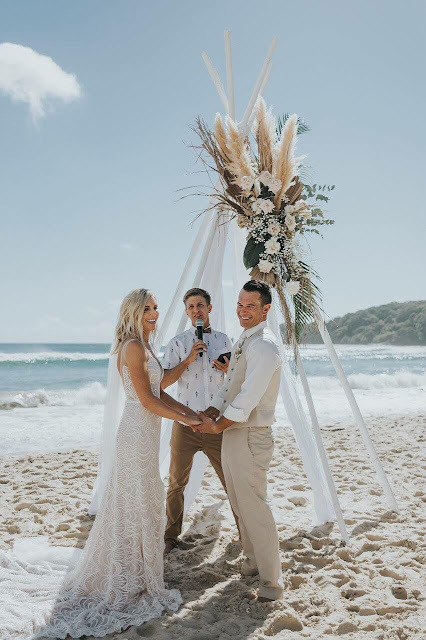 Your Marriage Celebrant is key in kick starting your Wedding experience, so it’s crucial that you connect with them on all levels!! 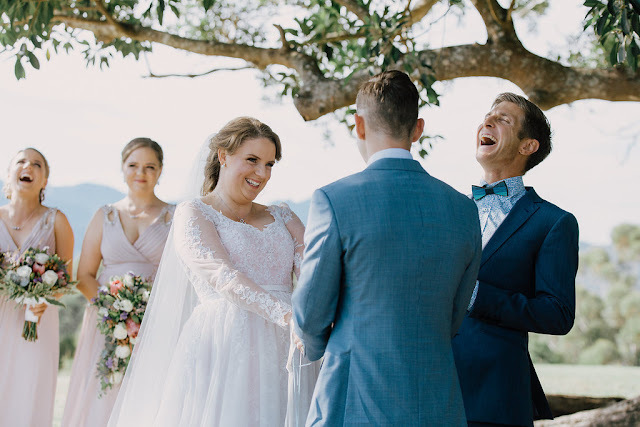 In one of the more nerve wracking moments of your life, you want to trust that your Celebrant can confidently hold this space and create the vibes that you are seeking. You can check out your Celebrants style & language in their social media posts, then when you meet with them in person, see if it all stacks up. 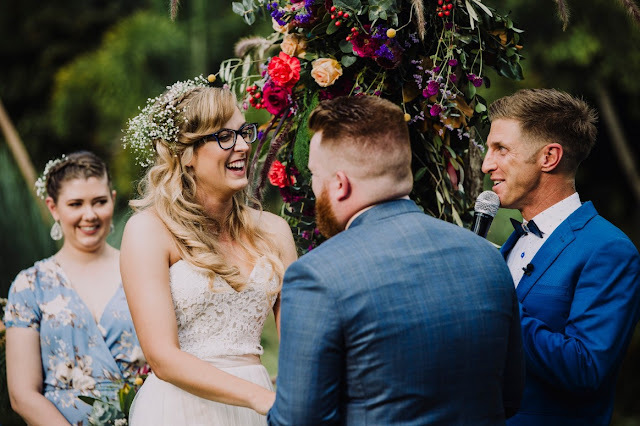 It helps if your Celebrant has a bunch of videos for you to watch and connect with, including couples testimonials too. 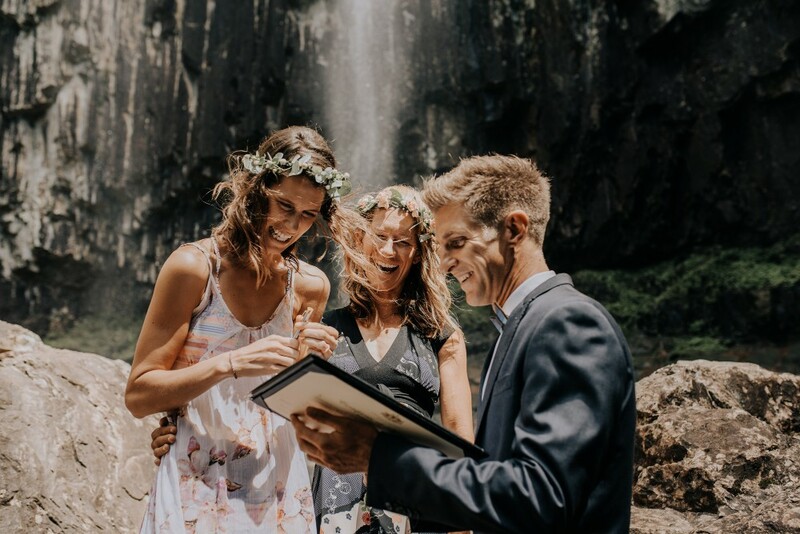 Make sure your celebrant kicks all you legal goals, has an awesome PA, dresses well and has enough experience to be able to deal with unique scenarios that may arise on your day. Allow at least $1500.00 in your budget for a quality Celebrant. 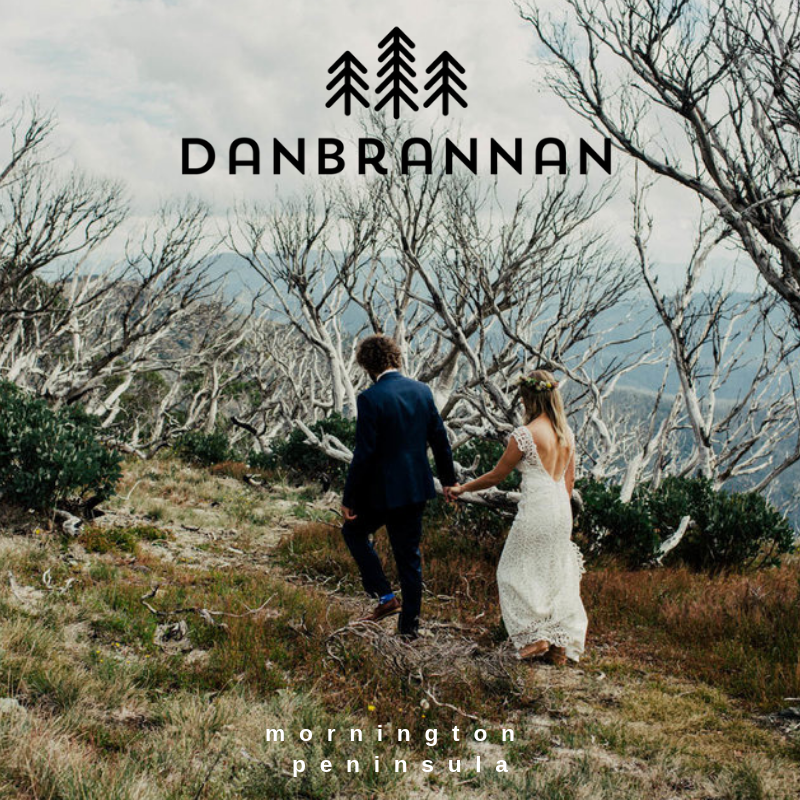 ➳ Do you have a personal favourite style of Wedding? Each ceremony to me is unique to the couple, so really as long as it’s all authentic to them, then this is my favourite style of celebration. I like intimate elopements as much as 150+ guest parties!! 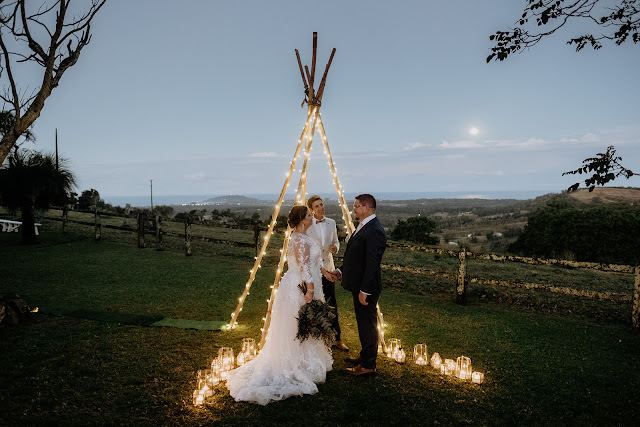 I’ve rocked moonlit ceremonies, sunrise adventures on the beach, signed the Legal Paperwork at Timezone and facilitated an epic waterfall experience earlier this year. I’ve definitely made a conscious effort to attract the right kind of couples to my business and I feel that the ones who choose me, see the Marriage Ceremony as a really important part of their day. ➳ Please tell us about the best part about what you do: I think it’s all about my bowtie collection really…. LOL’s! Honestly I think it’s freaking epic that you've found your soulmate out of the billions of others that exist on planet earth! Then you choose me to celebrate You as a couple in Your Wedding ceremony, in a completely authentic celebration! There's no other path. I’m just a lucky guy that gets to send you back out into the world as a Married Couple and if people say positive things about me afterwards, then that’s a bonus.